Arena Sport 1 is a Serbian Sports Network comprised of channels 1-4. 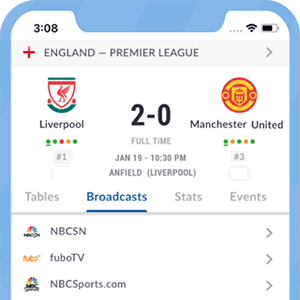 Arena Sports 1 has the rights to broadcast matches from the Serbia Superliga, Spanish La Liga, the UEFA Champions League, the Italian Serie A, the Copa Libertadores, and other soccer competitions such as the Coupe de France. TV Arena Sport 1 is available in Serbia, Croatia, Bosnia and Montenegro. *Got itLive Soccer TV does not provide Arena Sport 1 Serbia live streaming. The information provided on this page is simply Arena Sport 1 Serbia soccer TV schedule.